Protest injustice. Campaign for change. Stand up for your future. Political turmoil, shocks and upsets have rocked the world in the past few years, and it has never been more important to find your voice and stand up for what you believe in. 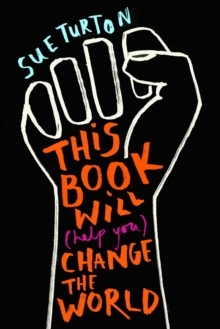 From award-winning journalist Sue Turton, with hilarious illustrations from activist illustrator Alice Skinner, this is a powerhouse guide to politics and activism for teens everywhere. Featuring contributions from C4 anchor Jon Snow, Avaaz.com founder Jeremy Heimans, leader of Hong Kong's Umbrella Revolution Joshua Wong and more, Turton discusses the political system that rules our daily lives and exposes its flaws. She also gives readers all the inspiration and empowerment they need to get out there, challenge the status quo and change the world themselves. Be it disrupting the system from within by joining political parties or inspiring change through protest, Turton shows young activists how their actions and words really can make a difference. 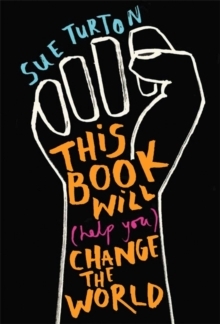 With a toolkit demonstrating how to avoid fake news, triumph in debates and grab the spotlight for your campaign, this is the ultimate teen guide to changing the world.